Description: Red Heart Super Saver Yarn is a premium all-purpose medium worsted weight yarn that is ideal for afghans, sweaters, accessories and more. Recommended for crochet hooks size I-9(US) and knitting needles size 8(US). Machine wash warm, tumble dry low, do not bleach, do not iron, dry cleanable. 100% acrylic. 4 ply. Worsted Weight. 7 oz. 364 yard. No-Dye-Lot. #0316 Soft White. 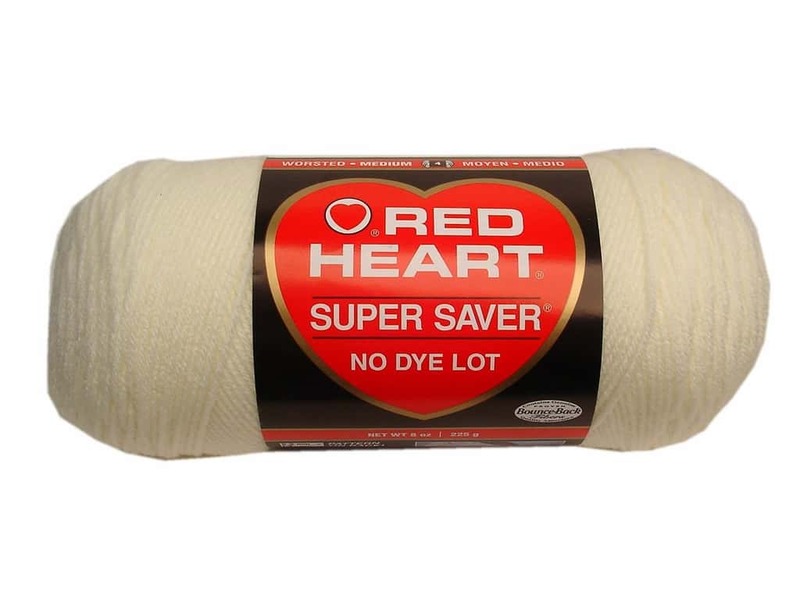 C&C Red Heart Super Saver 4ply 7oz Soft White 5.00 out of 5 based on 2 ratings. 2 user reviews.